This is a great time of year to pick up some apps for both iOS and the Mac at a great discount. Below are a few of my favorite apps that are currently on sale. Don't miss getting these excellent apps while they are discounted!!! Day One (iOS & Mac): Day One is arguably the best Mac and iOS daily journaling software out there. I use it both as a personal journal at home and a profession journal at work (and keep them in separate databases of course). The Universal iOS app is on sale for $2.99 (normally $4.99) and the Mac App is on sale for $9.99 (normally $14.99). This is an incredibly powerful journaling app with all kinds of "goodies" like the ability to attach GPS tagged photos, location aware text inputs, Markdown formatting, tags and more. Fantastical 2 (iOS & Mac): Fantastical is a great calendar app for both the Mac and iOS. What it brings to the table over the pre-loaded Apple calendar app is that it does a much better job of quick and painless creation of calendar events. With Fantastical you can just use "natural language" by either typing or using speech to text and Fantastical will take that bit of text and extract what it needs from it to create a new calendar event for you. Fantastical fro Mac is just $9.99 from the Mac App Store (normally $19.99) and Fantastical 2 for iPhone is $1.99 (normally $4.99) in the App Store. 1Password (iOS & Mac): Not much more to say about 1Password other than EVERYONE should own this software! We just have too many passwords we need to keep track of these days to NOT have some kind of secure software to manage it all for us. The Universal iOS app is on sale for $9.99 (normally $17.99) and the Mac Version is $34.99 (normally $49.99). Launch Center Pro (iPhone): If you spend a lot of time in and out of your iPhone getting things done all day long then this app may be for you. Launch Center Pro is like having speed dialing for your most frequented apps and activities on your phone. You can do things like message a friend, email your boss, search Twitter, create a new OmniFocus item and much more with just a tap of a customized button within Launch Center Pro. This app can really save you a lot of time if you do things repeatedly. It's on sale for $2.99 (normally $4.99) and is an iPhone only app. Tweetbot 3 (iPhone): Tweetbot is my favorite Twitter client for my iPhone, iPad and my Mac and the new Tweetbot 3 (for iPhone only) is on sale for $1.99 (normally $4.99). 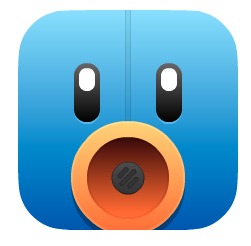 Tweetbot 3 is the latest a greatest version of Tweetbot and has been updated for iOS 7. If you have an older version of Tweetbot and like it then it well worth the upgrade price, especially while it's on sale! 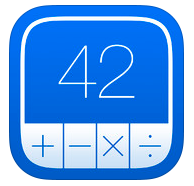 PCalc (iOS): PCalc is the best iOS calculator out there if you need a very powerful and professional calculator on your iOS device. Being an engineer myself I grew up with an HP 48GX in my hand and I still use it at work. But now that I have an iOS device with me at all times I needed something with that power in iOS. PCalc is that calculator. It is on sale for $6.99 (normally $9.99). 12 Days of Gifts (iOS) The last app I recommend you pick up right away is the free Apple app called 12 Days of Gifts. Apple has been running this promotion for several years now, but this is the 1st year they have done this here in the U.S. The promotion starts on December 26th (the day after Christmas) and runs for 12 days. Each day Apple gives out a free item through the app (a song, app, iBook, movie, etc...). Pick this up soon and enjoy a free gift from Apple every day for 12 days after Christmas!